This thread is privately moderated by blade strike, who may elect to delete unwanted replies. 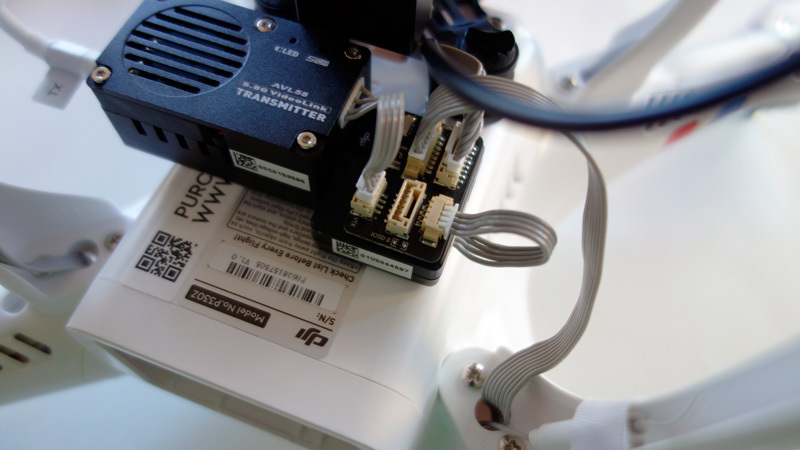 I received my DJI FPV HUB last week so I thought I would show how to install it. 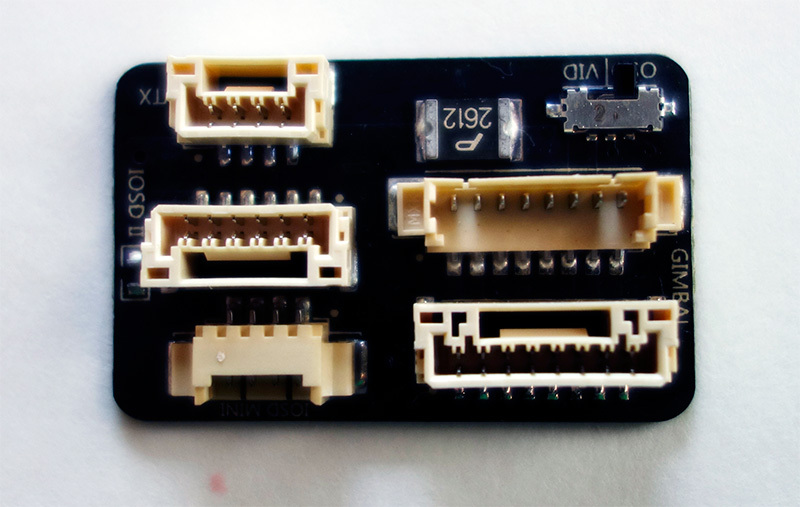 The FPV HUB allows you to connect a Mini iOSD or MarkII , h3-2d and AVL58 w/o the need of soldering. The hub is super small and lightweight, I saved 5 grams by installing it. My old wire harness was 10g vs 5g of the fpv hub and ribbon cables. First thing I did was open up the P2 so I could remove the Power and Video cable. Please remove the four screws per arm. This step is not required but in my opinion you should remove the wire harness. Once all 16 screws are removed, remove the top cover and unplug the GPS. Now we need to unplug the cable shown below. Once the cable is removed, go ahead and plug the GPS back in and reinstall the top cover. 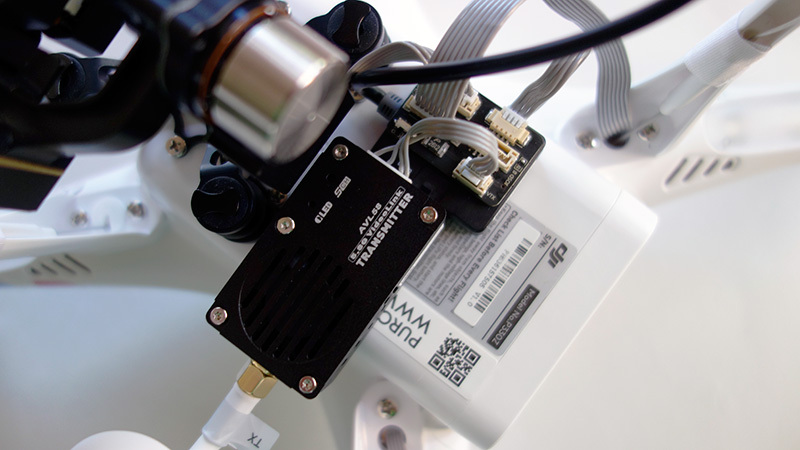 I installed the FPV HUB on top of the Mini iOSD. Now just plug in the AVL, Gimbal and iOSD. 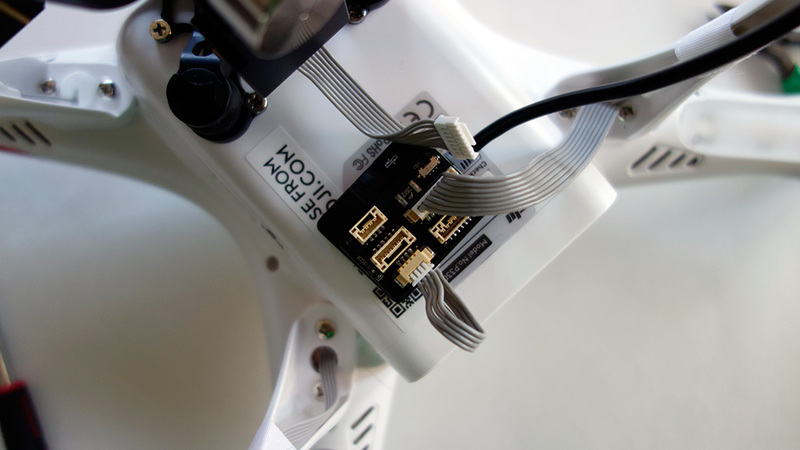 Make sure you select either Video or OSD with the micro switch. When not using an OSD leave this switch in the video position. Last edited by blade strike; Feb 25, 2014 at 06:40 PM. You make it look so easy, nice job. Exactly what I was looking for, thanks for posting this! You inspired me to convert my P2 over to the fpv hub. 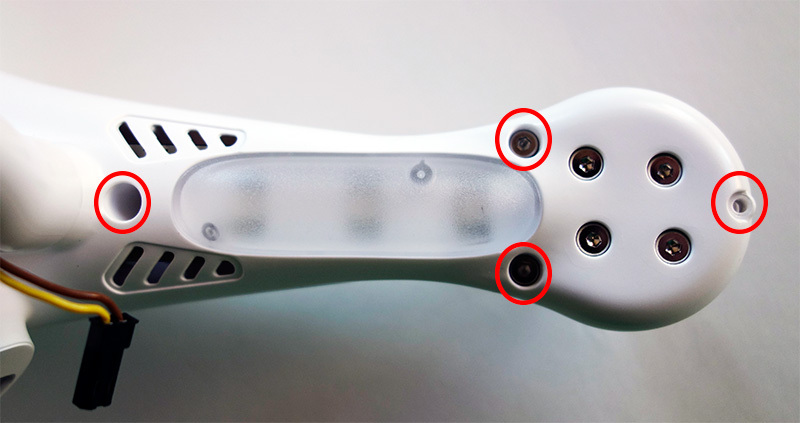 By removing the cable inside of the P2 In your pictures what is the cable coming out of the P2 that is connecting to the hub. Is this a new cable?? I think I am asking... where is the power coming from to power the hub and then other devices. (gimbal, iOSDmini & AVL58 I am not clear if need to plug in new cable or use an existing cable from the P2. Thanks for the help !!!! Perfect... thanks for the help on the cable explanation !!! 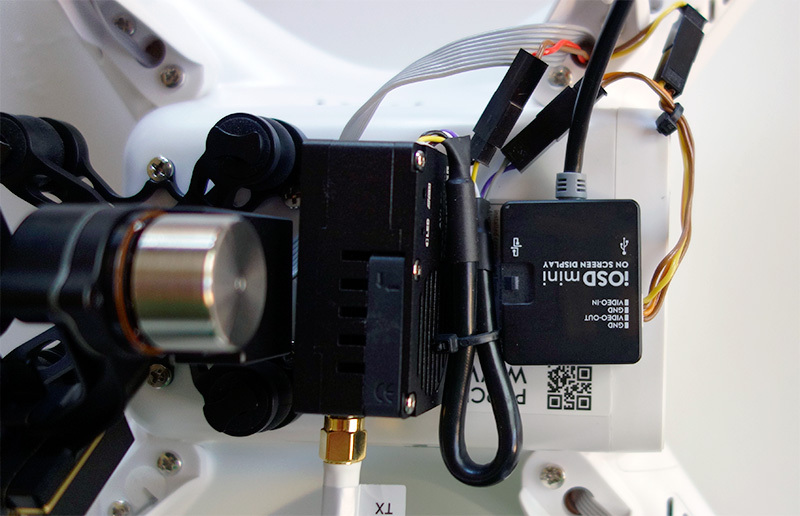 on off subject... with DJI Zenmuse H3-2D Gimbal is it an issue doing compass calibration and the gimbal on... will this hurt the gimbal motors when one turns the P2 on the side and rotates for the calibration procedure?? I tend to do a calibration before each flight due to new locations. If the Zenmuse feels like it is over driving the motors (like when you tip it up sideways) it will shut off into protection mode (goes limp). You can then do your calibration, set it down, and within a minute the Zen will reinitialize. Thanks for posting this tutorial blog entry! 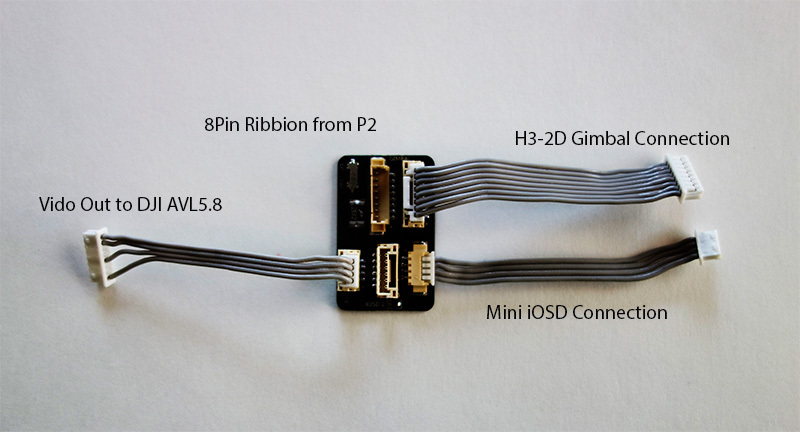 One small improvement would be to edit your text regarding the ribbon cable removal to make clear that it is the 4-wire multi-color cable that is to be removed. 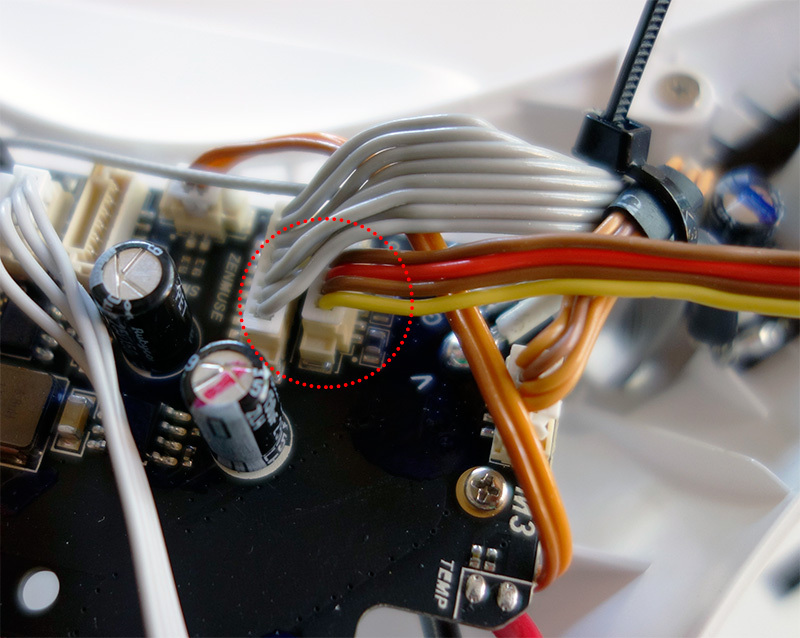 The circle in the picture could be mis-interpreted to include both ribbon cables. What cable is the GOpro hdmi cable? Does the zen still stabilze ok with it?